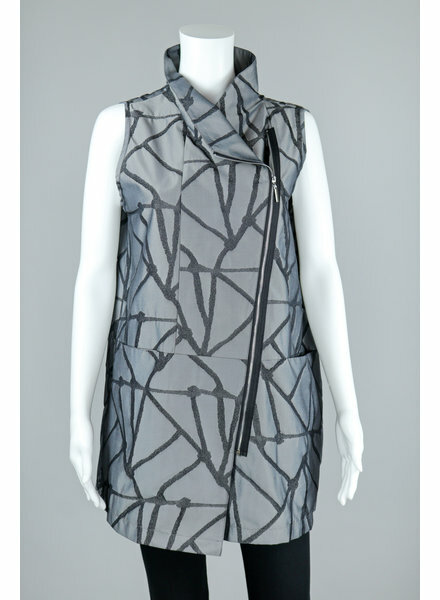 The Sun Kim Victoria Vest by Comfy USA is a sleeveless, angled zip up front vest with pockets in a mix grey design. 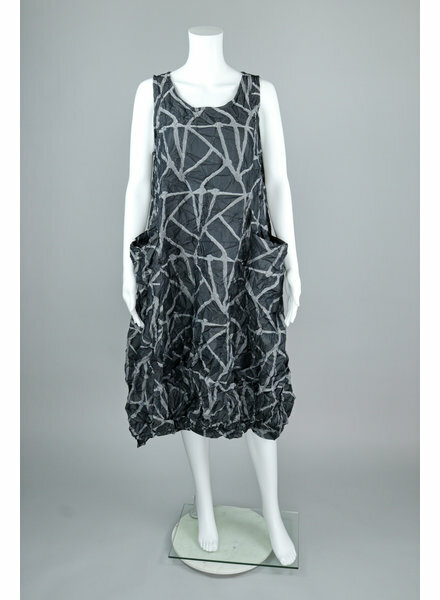 A sleeveless jumper featuring pockets, black button accents and is made in a heavy weight crinkle fabric in a geometric print. A solid color tank dress perfect for layering. 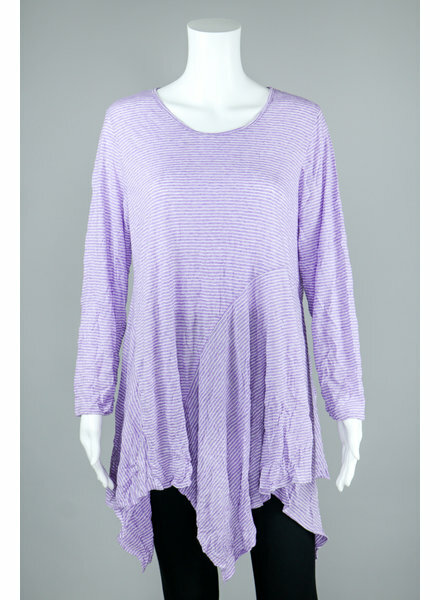 We paired this piece with the Comfy USA Courtney Print Kathy Top. 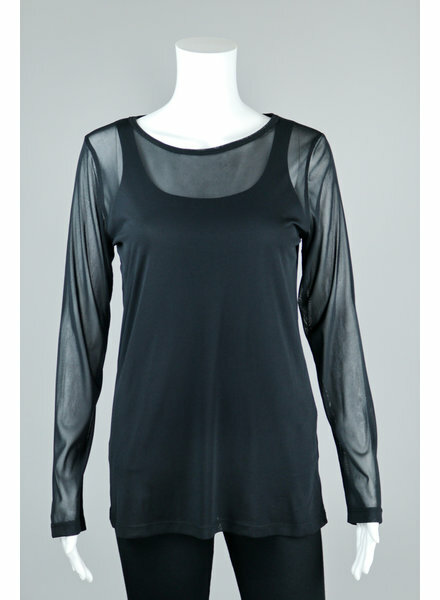 The Black Long Sleeve Mesh Tee is a long sleeve tee from Comfy USA in a thin mesh material featuring a round neckline. We paired a solid black Comfy USA tank underneath. 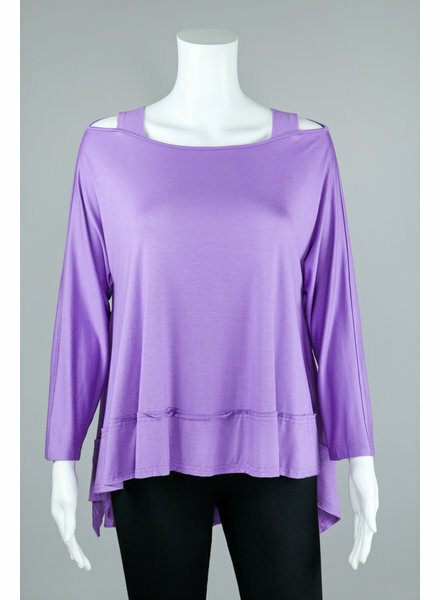 The Violet Jessica Top by Comfy USA features a long sleeve, cold shoulder cut out and round neckline in a beautiful violet purple color. The Lisa dress drapes beautifully and flatters many figures. 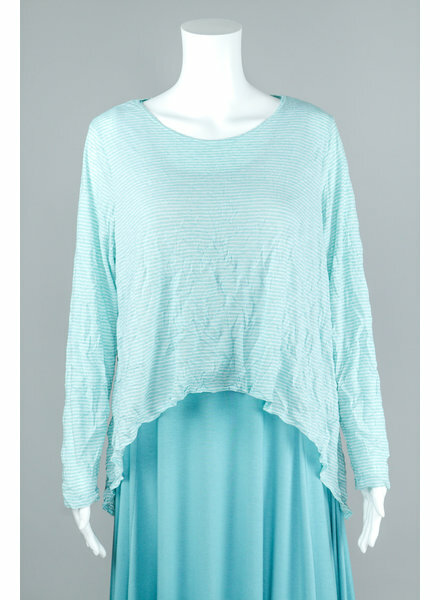 The Jade Stripe Venice Topper by Comfy USA is a long sleeve, round neck topper featuring jade and white pinstripes. We paired this topper over the Jade Lisa Dress.